Illusions and myth trump realism anytime. Realism is boring, realistic assumptions are most times hard to face and even harder to sell. Sober assessments are not uplifting or energizing, they make no inspiring speeches or catching election campaign slogans. Forget about realism and thorough analysis, in a time when a majority of people spend a majority of their time watching screens of various sizes (TV, computer, phone), inevitably mistaking the virtual (illusional) reality of these screens for the real world, it is most appropriate to base all, even the most eminent political and economic decisions on illusions. This is not the age of enlightenment, far from, this is the age of illusions, the age of pipe dreams. The pipe dreams of Ukrainian political leaders are basically about the unabated pillage of the country by oligarchs and associated sycophants while the broad population (minus the “undesirable” ethnic Russians) is complacently shopping in supermarkets and mega stores. a. The illusion that replacing one clique of oligarchs against another will change everything for the better. b. The illusion that corruption, cronyism, fraud, waste, and mismanagement will suddenly cease to exist if only thousands of civil servants, police officers, and administrators are dismissed and replaced by new persons. c. The illusion that Western Europe will provide unlimited funds as a reward for being fawned and courted by Ukrainians. d. The illusion that an association or integration of the Ukraine with the European Union will be easy, come with no costs, and benefit both sides. e. The illusion that embracing neoliberal economics, opening the country to Western companies, and applying IMF (International Monetary Fund) remedies will increase living standards of everybody. f. The illusion that a sizable part of the population (the ethnic Russians) can just be ignored, pushed aside, or chased away. g. The illusion that neighboring Russia will sit idle by while the Ukraine invites NATO to install new bases and missile launchers on the Ukrainian-Russian border. The following text contains informations from a multitude of sources from all sides. The material was crosschecked and obvious lies and fabrications sorted out. It is nevertheless possible that misinformation bits slipped through, in a media world which is based on deception and pretense it has become increasingly difficult to find the needles of truth in the haystacks of lies. There is no faster and more efficient way to ruin a country than armed conflict and war. While the Ukrainians were dwelling in illusions, the Western players took immediate action. On March 7 an unmarked transport plane was on the runway at Borispol Airport east of Kiev. Four trucks without license plates and two Volkswagen minibuses arrived, people in black uniforms, masks, and body armor stepped out, some armed with machine guns. They loaded the plane with more than 40 heavy boxes. Later it was confirmed, that acting Prime Minister Arseny Yatsenyuk had agreed, to transfer all 33 tons of the nations gold reserves, worth 1.8 billion US$, into custody of the Federal Reserve Bank of New York. This is a striking analogy to both Iraq and Libya, which had their gold reserves confiscated by the USA after the USA/NATO conquests. In an effort to meet their rising debt obligations, central banks around the globe have been printing money at a frantic pace. Distrust between central banks and lack of faith in fiat currencies is growing and many central banks try to bring their gold back home. Equador wants its reserves back, there are initiatives in Switzerland and Netherlands to repatriate gold. Germany wanted some of its gold back but allegedly logistical requirements prevented the NY Fed from returning Germanys 300 tons of gold. After a year of waiting, the NY Fed only sent 5 tons and it weren’t even the original bullions. The Bundesbank admitted that the gold sent back had to be melted down and tested for purity because it weren’t the original bars. Venezuela was luckier, it got its gold reserves back, though it took the NY Fed nearly five month to scrape the 160 tons of gold (valued at around 9 billion US$) together and deliver it to Venezuela. The price of gold in Ukraine reached its absolute historical maximum — a gram of gold is sold at 665 hryvnia. Since the beginning of the year the price of gold almost doubled. The lustration process is still under way. This process of removing “tainted” individuals who are suspected of having been affiliated with former president Yanukovych, or being sympathetic to Russia, or being socialists or communists, will end the careers of many capable persons who’s experience and skills could have been helpful especially in a time of unrest and insecurity. Newly installed officials at all levels are clearly overtaxed and have no idea what to do. They constantly make ill-advised decisions which are clearly counterproductive and they enact policies which are not working. 3 percent of GDP for military expenses (this would be more than any Wester European country is spending). It seems that the movers and shakers of Ukrainian politics have given up on the economy and deliberately create a train wreck. They hope, by becoming a solid NATO base on Russia’s border they will be indispensable and the USA and EU will bail them out no matter what. Corruption in Ukraine is a way of life. University students bribe their professors to get a good grade, custom officers at airports need to get a tip, otherwise your luggage could disappear. Bribes and kickbacks are commonplace. Transparency International ranks Ukraine 144 out of 177 on a corruption scale. Even most African countries have a better score. The IMF wants Ukraine to cut public spending from 48 percent of GDP to 45 percent, but IMF-proscribed austerity will inevitably increase political unrest. Austerity measure have caused tensions in many peripheral countries of the European Union. Ukraine is much poorer than the euro-zone periphery, and is filled with traumatized men returning from the front in the east. Armed robberies are increasing especially in Kiev, largely targeting owners of high value cars. The robbers usually use trucks to block off smaller streets and they conclude the operation in one or two minutes. No police is intervening. Burglaries of apartments are also widespread. 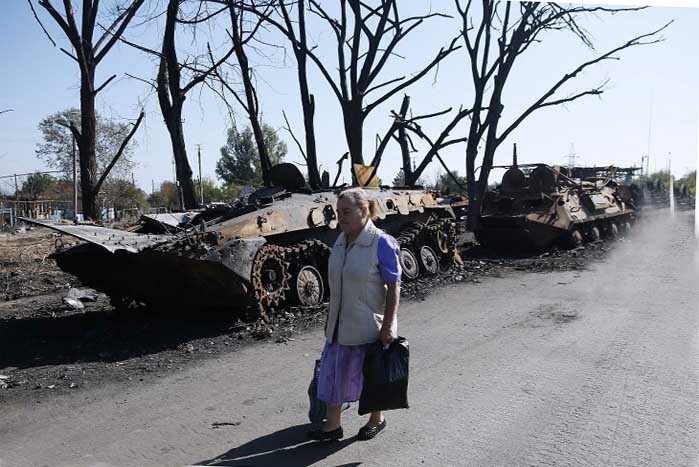 One has to keep in mind, that the ATO (Anti Terrorist Operation) against pro-Russian separatists got off to a dismal start in April when Ukrainian troops in APCs (Armored Personal Carriers) were surrounded by civilians and abandoned their vehicles disturbed and humiliated. The soldiers were not ready to fight, they were not ready to kill their fellow countrymen. 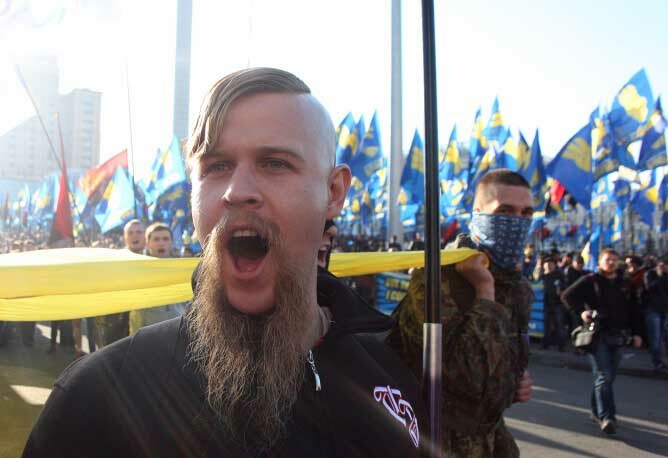 The ATO only gained steam after the Maidan storm troops of the Pravy Sektor and acquainted neo-Nazi groups were incorporated into the National Guard or transferred into “punitive battalions,” while the regular army as well as the punitive battalions were enhanced with mercenaries from various NATO countries, hastily organized by Western advisors. 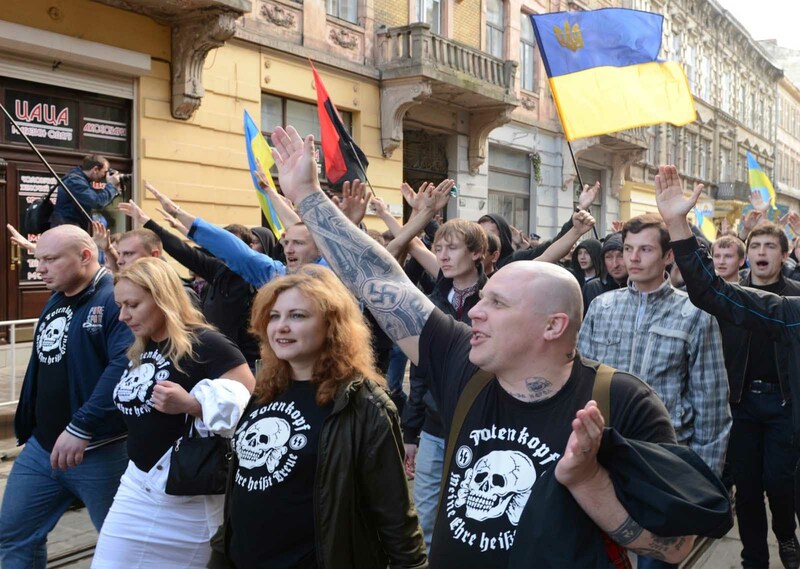 The neo-Nazis have no qualms to kill other Ukrainians, especially when they are Ruskies or Moscals, derogatory terms which normally describe Russians but which now are also commonly used for Ukrainians suspected of Russian ethnicity. Which makes it clear that people of Russian ethnicity are not anymore considered to be Ukrainians. It took not long to get to this point. Russian TV channels have been widely watched in the Ukraine but in March Ukrainian providers stopped broadcasting the four main Russian TV channels and since then step by step all Russian media broadcasts have been eliminated. The Ukrainian media organizations are exclusively owned by oligarchs and they air around the clock stories about perceived misdeeds of Putin, violations of Ukrainian rights by Russia, scandals in Putin’s inner circle, and crimes of pro-Russian separatists. It is not an exaggeration to classify Ukrainian reporting as pure hate propaganda against Russia. Russians are a convenient scapegoat for all ills of society, for the gloomy economic outlook, for shortcomings of the administration. Ukrainians were told that after the toppling of Yanukovych things would improve, the Ukraine would join the EU and soon prosperity and all luxury the Western world has to offer (as shown on TV) would be enjoyed by everybody. That this has not happened and things instead get worse and worse is now solely the fault of Putin, Russia, and the Donbass terrorists. The neo-Nazi groups always hated the Moscals or Ruskies, and the Ukrainians who fought on Hitler’s side in WWII are heroes to them. The Pravy Sektor forces have recently established a training camp in Transcarpathia. This allows those fighters who have seen enough of the reality of war to train likeminded individuals to take their place. A small number of aspirants have already been trained and form part of a so-called 1st battalion DYK. According to US war reporter George Eliason it has been confirmed that the punitive battalions are sodomizing war prisoners with spray foam. This causes their lower intestine to burst and the abdominal cavity to be filled with hardening foam. The pain is extreme and the torturers often wear ear defenders to avoid hearing loss from the loud cries of the dying. Both civilians and pro-Russian militiamen are among the dead found in mass graves in and near Nizhnya Krynka, 32 kilometers east of Donetsk. OSCE observers saw two bodies at two sites and found a pile of earth resembling a grave which had a stick with a plaque marked in Russian with the names of five individuals and the phrase “Died for Putin’s lies”. As it has been proven throughout history it takes not much to incite sectarian or ethnic hatred. People like to have a culprit onto whom all aggressions can be projected. People like to know whom they can blame when things go wrong. People like to have someone or some group to whom they can feel superior. Especially in hard times it is good to have a common enemy. Everybody who speaks with Ukrainians from western as well as eastern parts of the country will soon realize that the two constituencies live in different worlds and a compromise is not possible. This was not always so and people lived quietly side by side for many decades. The constant anti-Russian propaganda seems to work, antipathy grows and turns into disdain and hate. Preserving the unity of the Ukraine becomes more and more difficult, one would have to drive out at least another two million ethnic Russians from the eastern provinces. It is frightening how in only three decades a comparatively prosperous, resource rich, and social stable country can be devastated by corruption, plunder, social unrest, and finally war. The Ukraine is not yet a failed state but it is a desolate place. Close to half of Ukraine’s economy is informal, the majority of businesses pay their workers at least partly in cash to evade taxes. Before the crisis 26 percent of the exports went to the EU and 23 were delivered to Russia. Russia accounts for nearly all of Ukraine’s natural gas imports. Trade with Russia has diminished sharply. Kiev decided to stop buying coal from the rebel-held territories, which is significant because since the start of the conflict it payed 150 million US$ to Donbass mining companies for coal supplies needed to fuel power stations across Ukraine. Ukraine has to import about 500,000 tons of coal till January. It bought 250,000 tons from South Africa and was forced to sign a contract about 509,000 tons from Russia. It is very much in doubt if this contract will be fulfilled because Russia wants cash for the coal, cash which the Ukraine doesn’t have. The South Africa deal, implemented by obscure intermediaries and harshly criticized because of the high costs (86 US$ per ton), lead to a criminal investigation of officials from the Ministry of Energy and Fuel, including Minister Yuriy Prodan. The Ukraine national bank has stopped trying to hold the hryvnia exchange rate at about 13 hryvnia per US$. This support was provided during the election period to mask the true state of the economy from the voters. Following the election, the central bank abandoned a fixed exchange rate policy and the rate rose to 16 hryvnia per US$. To put this in context, the exchange rate was 6.99 hryvnia per US$ at the beginning of the year, some analysts expect it to reach 20 hryvnia per US$ before the end of the year. Efforts to stem the hryvnia’s fall have dangerously depleted foreign currency reserves. In October the central bank had 12.6 billion dollars in foreign reserves, barely enough to cover six weeks worth of imports. Non-performing loans make between 34 to 46 percent of Ukrainian banks assets. With the banking system in peril, a third of deposits have been withdrawn — before the currency collapsed, this is. The central bank raised interest rates to 14 percent in order to stem capital flight but this is pushing the country into an even deeper depression. The economy is already reeling from the loss of its industrial core in the coal and steel regions of the Donbass, and from drastic austerity measures imposed by the IMF. A string of companies are trying to restructure their debts, including the steel group Metinvest, First Ukrainian International Bank, and Mriya Agro, one of the world’s biggest food producers. Ukraine’s industrial production has shrunk by a record 21.4 percent since 2013. 70 percent of coal mines in the Donbass region have shut down, and coal production has dropped 60 percent. Even agriculture is struggling: Wheat farmers are expected to produce 12 percent less next season. When Kiev signed the association deal with the EU it hoped for increased investments. The country, however, has witnessed even lower investment levels than before and potential investors are fleeing in terror. The West’s main tool for propping up Ukraine has been the IMF. In April the fund agreed to lend Kiev 17 billion US$ over two years, in return for an austere budget and reforms to curb corruption. Other donors pledged smaller amounts. This money, 27 billion US$ in total, was deemed enough to avoid default and stabilize the economy. So far Ukraine has received about $7 billion, enough to stave off an immediate debt crisis, but not enough to rebuild an economy that has been hit far harder than anyone expected six months ago. Beside that, most of the money was spent for the war in Dombass. The decline in GDP is twice as big as the IMF forecast in April. Consumers face ever higher fuel bills, private capital is fleeing and the currency is plunging. Back in August the IMF calculated that under an “adverse scenario” Ukraine would need an extra 19 billion US$ of funds in 2015. It is already worse than that. Ukraine’s debt burden has soared from 40 percent of GDP in 2013 to more than 70 percent, yet both the government and the IMF still claim that debt payments can be met, which is frankly impossible. Restructuring its bonds will not be enough, at least another 20 billion US$ will be needed. Ukraine’s energy sector is crying out for investment. If the country were as energy-efficient as the EU average, it could probably avoid importing gas from Russia all together. Projects to install wind and solar energy, improve home insulation, replace old boilers, and fix leaky pipes would help greatly. Ukraine owes Russia 1.6 billion US$ in gas bills by yearend and then faces fees of 700 million US$ a month for new supplies. Ukraine signaled it may hold off from paying Russia’s gas invoice — part of an EU-brokered agreement to restart supplies frozen since June — in the hope that mild weather can help it last long enough to make it through the winter by relying on gas stocks and limited flows from Slovakia and Poland through “reverse pipelines”. This is a risky strategy since climate experts are predicting the coldest winter in more than 30 years. Ukraine asked for more financial help from Europe to cover its needs but Brussels responded that the EU would not provide a “financial bridge” and that in signing the interim deal, Ukraine confirmed it was able to purchase any extra gas this winter. Assistant Secretary of State for European Affairs Victoria Nuland and Vice President Joe Biden were visiting Kiev and announced an increase in military assistance, including the first deliveries of Humvee vehicles and counter-mortar radar systems. Both visitors are the personification of US interests in Ukraine. Victoria Nuland, an ardent neoconservative, was reminding Ukrainian business leaders in December 2013 that the United States had invested 5 billion US$ in their “European aspirations.” Then, in early February, Nuland discussed in a phone call to US Ambassador Geoffrey Pyatt who should be in the government after Yanukovych was removed. 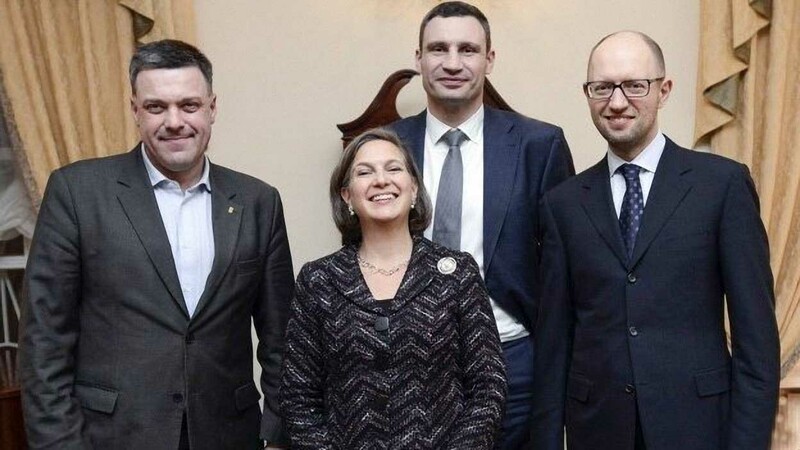 “Yats is the guy,” Nuland said in reference to Arseniy Yatsenyuk, who indeed became prime minister after Yanukovych was ousted on February 22. Joe Bidens son Hunter Biden was appointed in 2014 to the board of the Ukrainian energy company Burisma Holdings, a move which has attracted controversy. Burisma is designated to develop the shale gas fields in the Dnieper-Donetsk basin of Eastern Ukraine. The people of Slavyansk, a town located in the heart of the Yzovka shale gas field, staged numerous protest actions in the past against its development. They even wanted to call in a referendum. Slavyansk was initially the center of the uprising in Donetsk but had to be given up by the separatists because the Ukrainian army attacked it with overwhelming force. Technicians protected by the Ukrainian army have since then made preparations to install drilling rigs and heavy equipment was brought in. NED (National Endowment for Democracy) President Carl Gershman took to the op-ed page of the neocon-flagship Washington Post to call Ukraine “the biggest prize” and an important interim step toward eventually toppling Putin in Russia. An increase in economic cooperation between Russia and Balkan states is clearly happening. Moscow-based oil multinational Lukoil now owns 80 percent of the Serbian service-station chain Beopetrol and in Montenegro Russians control one-third of all companies. Especially worrisome for the EU is that Russia does not only invest in companies but also engages in infrastructure projects. The Russian Railways company currently refurbishes a 350-kilometer stretch of track in Serbia at a cost of three-quarters of a billion Euros and Gazprom holds majority ownership of the country’s largest natural gas supplier and its network. Russia continues to pursue the Southstream gas pipeline project in south-east Europe, opposed by the West, and promises funding for Republika Srbska (the Serbian half of Bosnia) to bypass a two-year IMF standby agreement with Bosnia, which would entail the usual austerity measures. What is the difference between the EU-enlargement to Eastern European countries and Russia’s “economic infiltration”? The countries in question are mostly part of former Yugoslavia, destabilized and broken up by a heinous combination of economic sabotage, bribery, political interference, and military assault. This was of course not an expansionary drive of the West, it was just “spreading democracy” at the cost of 140,000 lives. Is the creation of new economic ties and the preservation of old ones not a legitimate aim in a competitive global economy? Russia surly tried to preserve the economic ties with the Ukraine, but this is not an aggressive act. Russia doesn’t want to occupy and annex the Ukraine. Russia doesn’t want the Ukraine because it would only drag down the Russian economy. In fact nobody wants the Ukraine in its present state. The USA would love to set up bases and missile launch pads as near to the Russian border as possible, Kyiv has already pledged to make territory available near Kharkiv to host US missile systems and a wing of US fighter jets to provide cover for the missile installations. The USA would also love to cut off Russian gas transfers through Ukraine. This would hurt Russia as well as Western Europe and the Ukraine itself, but this is not Washington’s concern. A possible bankruptcy of the Ukraine would harm foreign investors and lenders, mainly Russia, France, Austria, Italy, and Hungary. Around 34 percent of Ukraine’s inbound investment comes from Germany, the Netherlands, Austria and the UK. US companies are not involved, the USA has so far delivered a meager one billion US$ to help Ukraine and thats it, the Americans will send more weapons but not write any more checks. With or without bankruptcy the IMF will lend some further billions but impose strict austerity measures (cutting wages, pensions, subsidies, raising prices, reducing or eliminating public services). The economy will contract further, state revenue will decline further, qualified workers, engineers, technicians, scientists will emigrate and be welcomed in the West, where they will work for comparatively low wages and consequently decrease the influence of local unions. This is a win-win for the corporations. The big Western companies will wait till the government is bankrupt and then buy all public assets for cheap. Land, water, infrastructure, buildings, everything will be owned by Western companies. The oligarchs will get their cut in the deal and they will be allowed to pillage the Ukraine (or what is left of it) further without any interference. This is the master plan, simple but ingenious. Why are US strategists so successful in destroying countries, which are not bowing to their dictate? Is it still the soft power of totally controlled media, the lure of consumerism, the promise of luxury? Or is it the Western strategists ruthlessness, wickedness, deceitfulness, and disregard of life? Two million death in Vietnam, 140,000 in Yugoslavia, 600,000 in Iraq, 40,000 in Libya, 200,000 in Syria. 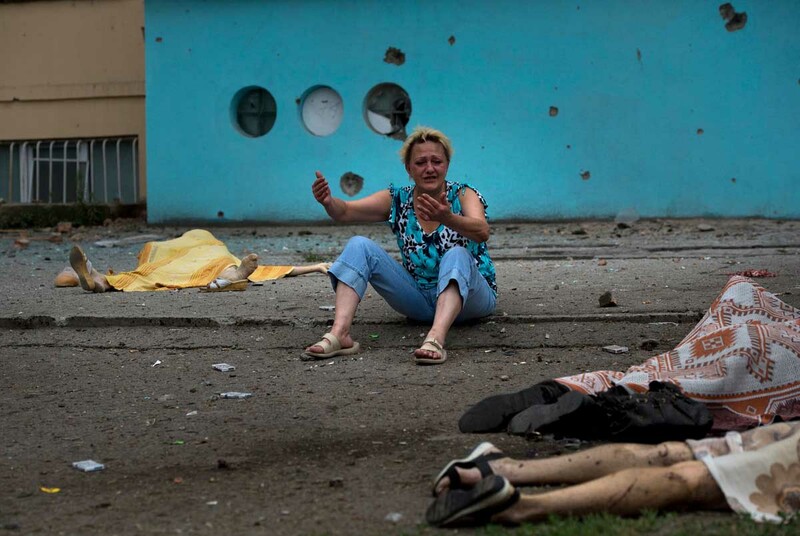 How many will have died in the Ukraine when the dust finally settles down? No, this headline is not about a self-help book with the title “Geopolitical Chess For Dummies,” which may or may not be written by Vladimir Putin after his retirement. This is about the geopolitical strategic moves by a certain faction of the Western political establishment, commonly called “neocons” (neoconservatives). If Putin will ever write such a book will be decided by his secretive family (Alina) and the (CIA) assassins who are after him. There is also the open question, if Putin indeed is such an accomplished chess player or just the only one in the competition who acts rational and responsible. Putin is a pragmatist and at times even an opportunist, but he is able to communicate clear views to the world, he has demonstrated considerable patience and restraint, and he is not following the neoconservative ideology which characterizes Obama, Cameron, Harper, Abbott, Hollande, Rutte, and most other Western leaders. Putin’s moves are logical and measured. He actually wanted to cooperate with the USA, as he demonstrated by asking Syria to surrender its chemical weapons and by encouraging Iran to agree to an interim deal for constraining its nuclear program. Russia has not invaded Ukraine, something which could have been easily done. Russia sent “volunteers” and military supplies to the separatists, but that is something the USA does all the time, including support for the most barbarous terrorists and regimes on earth (IS, Jabhat Al-Nusra, Saudi Arabia, Qatar). One cannot compare the Voentorg to Novorussia with the secret night cargo flights out of Turkey to IS territories in Iraq. Russia holds about 3.1 billion US$ of bonds from Ukraine. The terms of the deal allow for immediate repayment should government debt exceed 60 percent of GDP. This clause could be invoked now, but Putin said that Russia will not make a call on the bonds as that would destroy the Ukrainian economy. The economy will collapse on its own anyway. There is still the open question if Russia could have warded off the threat of NATO missiles stationed directly on her western borders by other measures than sending “volunteers” and equipment to the Novorussian forces. Putin made cautious attempts to avoid a military conflict at the beginning of the crisis, calling for dialog and compromise. He made clear that any solution who would preserve the economic cooperation of the Donbas region with Russia and prevent the eastward expansion of NATO would be acceptable. But the reactions of both the Western leadership and the Russian public made it very clear that a compromise was not on the table. On November 15 President Petro Poroshenko ordered all state institutions to withdraw from rebel-held Donbass and to stop paying salaries and pensions from the state budget to residents of the region. The National Bank of Ukraine has to cut off all banking services in rebel-held territories within a month, both to legal entities and to the population. State organizations and local administrations have to close and the personnel has to be evacuated within a week, together with property and documentation where possible. Any remaining institutions will be regarded as illegal. Inmates in Donbass prisons will be released and the prisons be closed. It is not unusual for post Maidan Ukraine to free criminals, a court in Odessa just let go Chechen terrorist Adam Osmayev, who in 2012 planned to kill Vladimir Putin. The plot was only discovered when a bomb accidentally exploded, killing one member of the terror group. Yulia Tymoshenko, convicted of embezzlement and abuse of power (corruption), was released from prison after the Maidan coup. She is also implicated in the contract killing of Yvhen Scherban, his wife, and two other people, but prosecutors had to stop all investigations in the case. Kyiv can no longer afford the money transfers to rebel-held regions, while receiving only little tax payments in return. 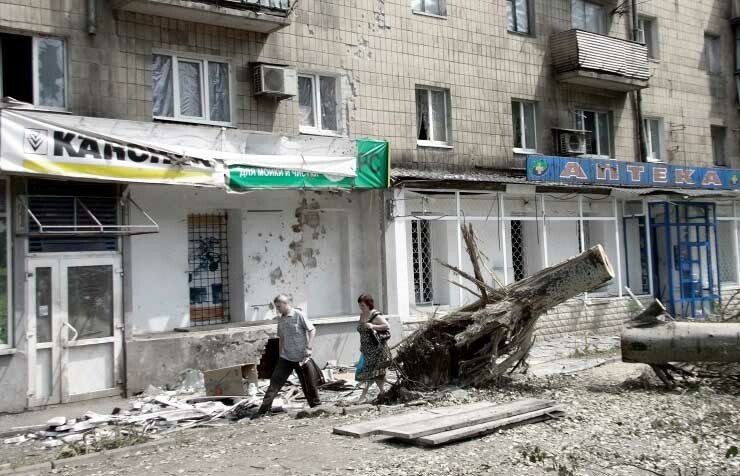 Kiev can also not afford the rebuilding of the infrastructure, 50 percent of which is destroyed. When the so called ATO (Anti Terrorist Operation) failed at the end of August and only Putin’s proposal of a ceasefire, resulting in the Minsk accord, saved the Ukrainian army from a catastrophic breakdown, the decision was made by Kiev (or more likely by Washington) to abandon the rebel held areas and destroy them as much as possible to provide a warning example to the population of Kharkiv, Mariupol, Odessa, Kramatorsk, and Slavyanks what would become of them if their towns would fall under rebel control. This is a scorched earth policy. It not only sets a warning example, it also increases the costs for Russia, which in the end will have to pick up the pieces and rebuild these territories — if they are ever rebuilt. 10,000 kilometers of public roads, 24 bridges / overpasses, and 132 industrial facilities have been severely damaged or destroyed. The UN estimates that losses from infrastructure destruction amount to 440 million US$ but the true costs are probably double this amount. Two-thirds of businesses have closed down, including Ukrainian banks and major trade companies. 70 percent of coal mines are not working and coal production has dropped 60 percent. The biggest costs though are payed by the people. 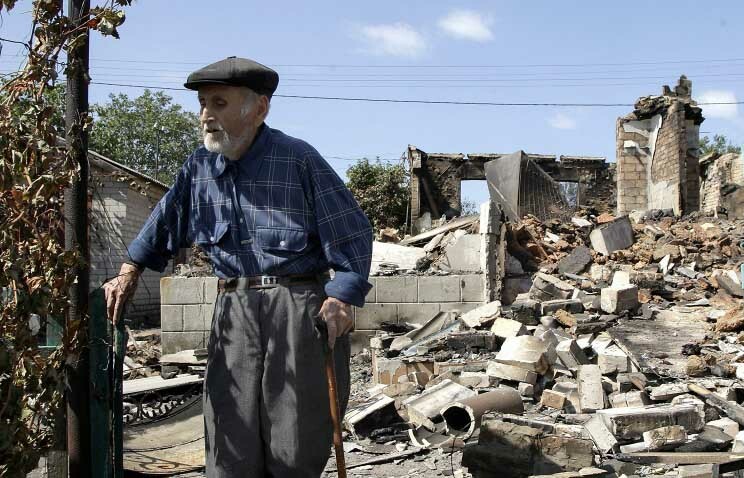 Around half of the civilian population in the rebel-held region have fled and a large proportion of the remaining are pensioners, who will now be left without income. They have time until the start of December to leave for areas under government control and register as displaced persons. 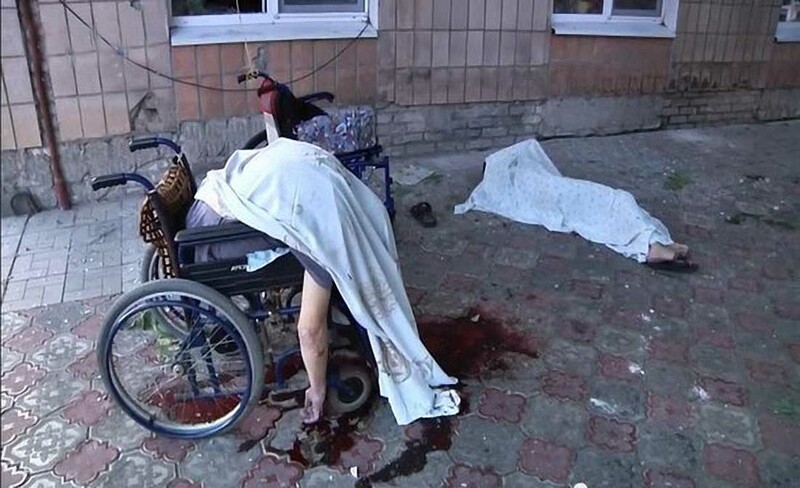 Ukrainian troops are constantly shelling civilian areas, apartment blocks, schools, factories. Woman, children, elderly people die. 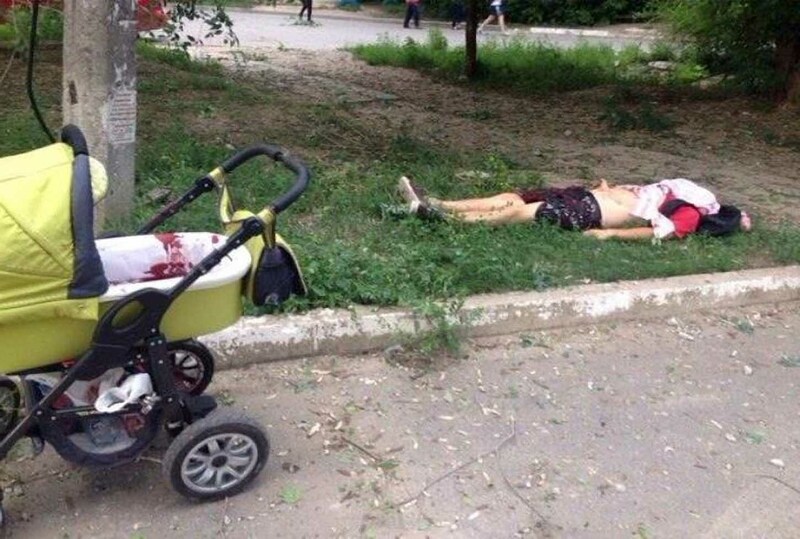 The OSCE did confirm that shelling which killed two school kids id Donetsk came from a village (under government control) behind the airport. One of the wounded girls had both legs blown off. The Ukrainian army has deployed every canon in their arsenal, it uses heavy artillery (2S19 Msta-S), howitzers (2A65), rocket battery systems like BM-27 Smerch, MLRS Grad and Uragan, air strikes, even tactical ballistic missiles (9M79 or 9M79-1), cluster ammunition, and white phosphorus. There are rumors, that Ukrainian planes are flown by Polish pilots, because Ukrainian pilots refused to bomb their countrymen, and that air raids are flown from Romanian basis by NATO jets with freshly applied Ukrainian roundel and fin flash. Some aircrafts deploy Israeli missiles and bombs that were first tested in Gaza. Azerbaijan and Moldova shall also be involved in the air campaign. These are warcrimes, ignored or belittled by Western media. The BBC occasionally mentions the shelling, always ending with the remark, that it is not clear if the Ukrainian army or pro-Russian rebels were responsible. This is more than cynical — why should the separatists kill their own people? 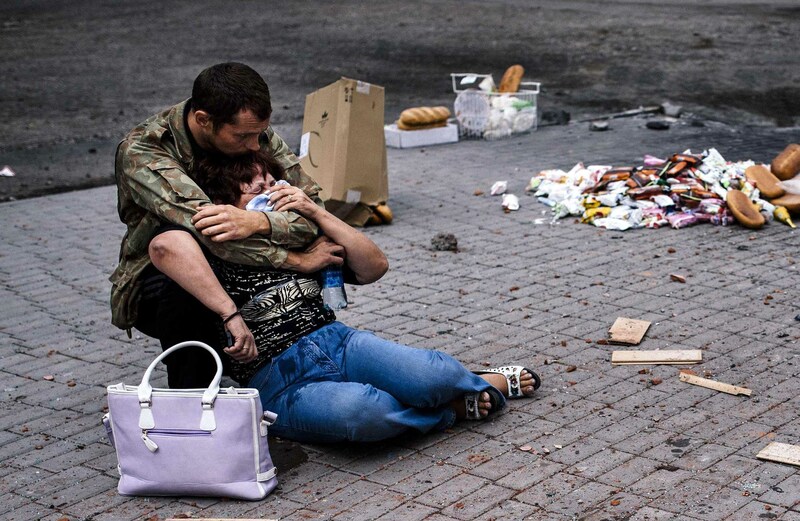 Kiev has officially suspended the protection of human rights in the war zone (the European Convention on Human Rights has a provision which allows some of its articles to be derogated by a signatory “in time of war or other public emergency threatening the life of the nation”), but this will not make any difference, because human right were never respected in the ATO. Right now large areas of Donetsk are left without water after power supplies to a filtration plant were hit by artillery. 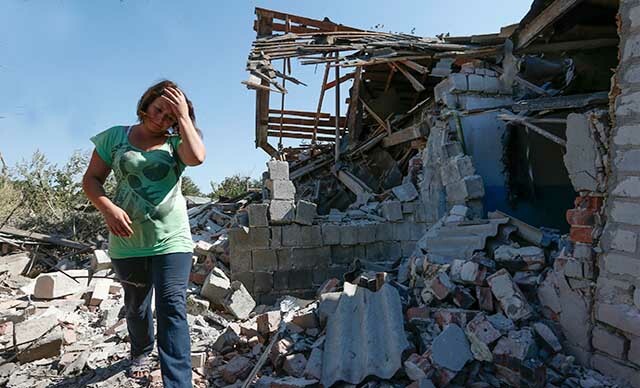 The ongoing shelling by Ukrainian forces has also stripped several cities and districts in the Luhansk People’s Republic of drinking water, including Alchevsk, Stakhanov, Krasnyi Luch, Brianka, Perevalsk, Kirovsk and Pervomaisk. 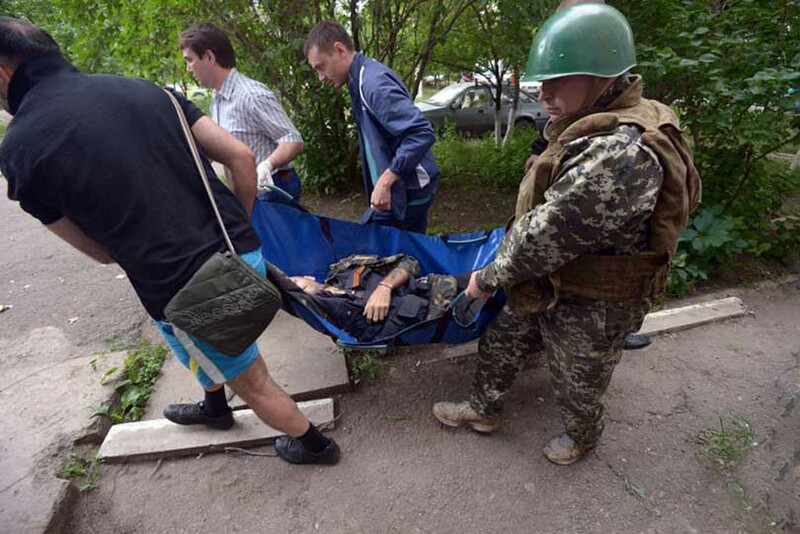 Hardest hit were Kirovsk and Pervomaisk, which are constantly bombarded by Ukrainian forces. Water is being delivered to these locations by truck because there is currently no other alternative. The Karbonit pump station, which supplied water to Pervomaisk, Stakhanov and Popasna, was disconnected from the system on November 12. It currently pumps only a small volume of water, while most of its capacity remains idle. The absence of water or low pressure in the pipes has led to a shutdown of the heating systems in several towns. The two boiler plants in Alchevsk have been shut down. The republic’s capital Luhansk is experiencing problems of water shortages and intermittent blackouts as well. The Red Cross is concerned about possible epidemics in Donetsk and Luhansk because of disrupted water and electricity supplies. An estimated 970,000 people have been displaced, most of them fled over the border into Russia. Some 200,000 have already been resettled inside Russia. The ones who were not able to leave hunker down in bomb shelters and cellars, freezing and hungry. 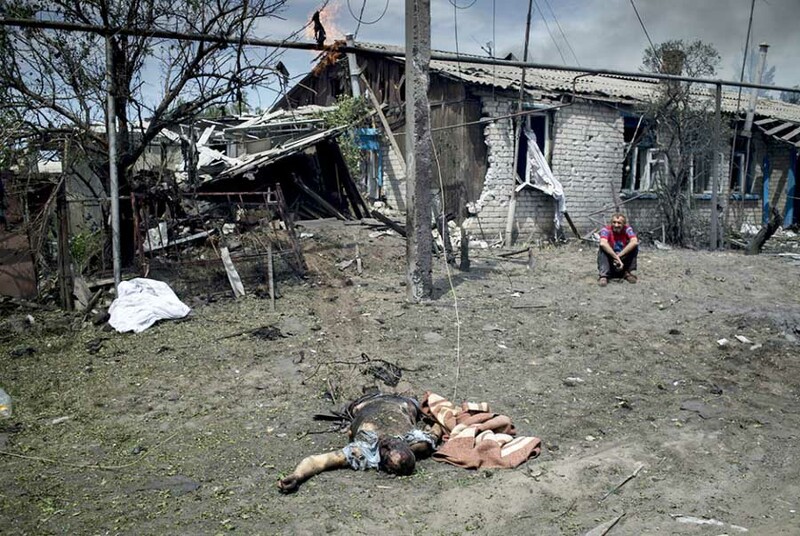 What is the difference of the Ukrainian strategy to ethnic cleansing or genocide? Why is Russia, who sends truck column after truck column with food and emergency supplies to the needy in the besieged cities, sanctioned, while the Ukrainian government, who tries to exterminate them, is cheered and showered with funds? This is an upside down world! The people of eastern Ukraine, Russian in background and sympathies, deserve protection as much as they deserved the huge amounts of emergency supplies Russia has delivered. Had the post Maidan government originally offered protection of ethnic Russian rights, including language, the story might have been different, but the new rulers did precisely the opposite, passing discriminatory laws, threatening dissenters, facilitating massacres. Who wouldn’t revolt in such a situation? The correct use of euphemisms and categorizations becomes more and more complicated. In Syria there are moderate rebels and less moderate rebels, all rightfully pursuing the overthrow of a bloodthirsty regime that is supported by no more than 60 percent of the population and had the nerve to hold elections in June 2014 (the attribute “bloodthirsty” is mandatory but can be substituted by “savage,” “brutal,” “barbaric,” and related synonyma). 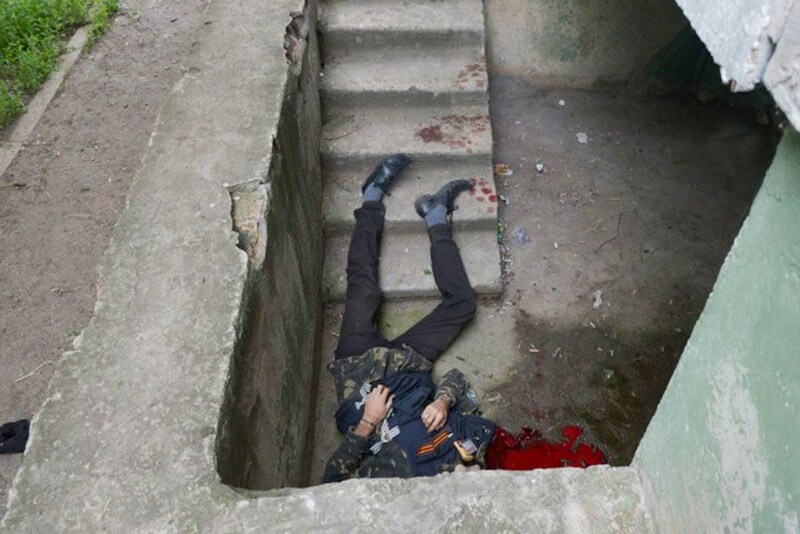 The rebels in Donbass are of a different kind, they are terrorists which have to be exterminated in an ATO (Anti Terrorist Operation) by any available means. They are even more despicable because they, like the Syrian government, had the nerve to hold elections. Ergo: The good rebels are the ones who behead Syrian soldiers and try to topple an elected government. The bad rebels are the ones who impede Ukrainian forces in bombarding Donbass cities and who want to keep their elected officials in place. While the Ukrainian urban middle class dreams of a Western lifestyle like it is shown in Hollywood movies and TV-shows, the Novorussian idealists dream of a new socialist society where the oligarchs are dispossessed and the natural resources communally owned. 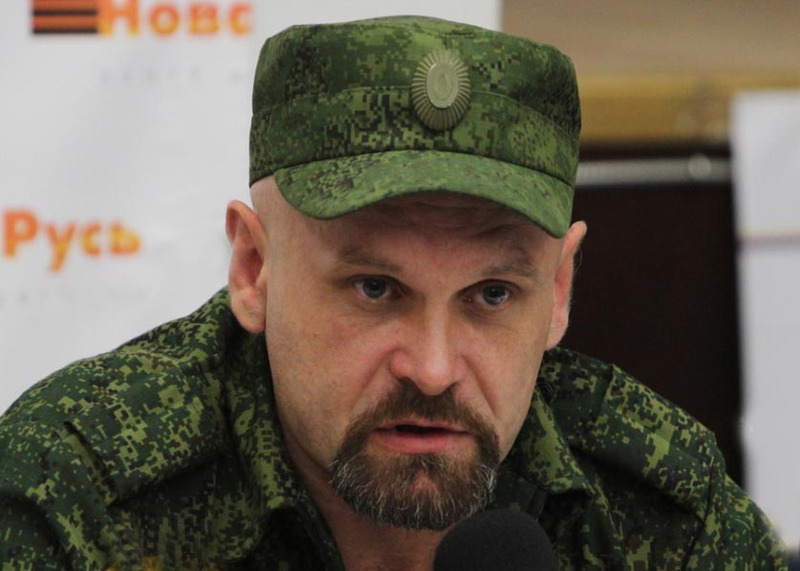 Alexey Mozgovoi, leader of the Prizrak (Ghost) brigade declared: Novorossia shall be! Oligarchs out! Power to the real, common people! This is our first chance in many decades to build an equitable, human and humane society. Mozgovoi is one of the idealists and outed himself clearly as a socialist dreamer. He wants to nationalize the steel factories of Rhinat Akhmetov, Serhiy Taruta, and Vitaliy Hayduk, he wants to break the power of the moneyed elites. Some of Mozgovoi’s fellow leaders have different visions or no visions at all. Many of them were installed by Russian pressure (Alexander Zakharchenko, Igor Plotnitsky). Dennis Pushilin, the first leader of Donetsk, sent in his letter of resignation while on a visit to Moscow. Some leading figures are rather soldiers of fortune than defenders of the ethnic Russian population, some are unsavory characters and opportunists with the typical “entrepreneurial mindset” which defines people who in times of unrest and mayhem look for chances to steal and loot and become the next generation of oligarchs. On November 16 Donetsk police detained minister of the energy sector Alexei Granovsky and deputy prime minister Alexander Kalyussky for acting in abuse of their competences (meaning corruption). Corruption and theft are as rampant as in the west of Ukraine, military supplies are put aside and sold on the black market. Russian police has already confiscated weapons caches which found there way from Donbass back into Russia. This material could land in the hand of Chechen terrorists — Russian authorities are worried. Nikolai Kozitsyn is badmouthed by Western journalists as a Cossack warlord who rules over the area around Perevalsk with an iron fist. Could there be truth in these accusations? The war in Donbass is getting more and more international. “White Widow” Samantha Lewthwaite, one of the world’s most wanted terrorists, was shot dead by a Russian sniper while fighting with one of the punitive battalions. Before moving to Ukraine she was reported to be working for IS (Islamic State) in Syria, training a special team of female suicide bombers. Ukraine’s Interior Minister Arsen Avakov confirmed the presence of foreign mercenaries in punitive battalions: “There are volunteers in the Donbass battalion and other battalions who are helping to defend our state.” Some of them, he said, are seeking to obtain Ukrainian citizenship. The Azov battalion of Ihor Kolomoisky includes mercenaries from Sweden, Finland, the Baltic states, and France. The Polish pilots in Ukrainian airplanes and the possible involvement of foreign planes from Romanian basis were already mentioned. Some Novorussian fighters see parallels to the “Brigadas Internacionales” of the Spanish Civil War and stress that they are fighting against a fascist regime supported by Western powers similar to their predecessors who were fighting against Franco. There is still the threat of a Ukrainian offensive and there are setbacks for the Novorussians. Operations against Avdeevka and the Ukrainian positions around Gorlovka failed with substantial casualties. At the Donetsk airport the separatists still couldn’t rout the Ukrainians and only control the old terminal. The rallying cry: Proletarians of all Countries, Unite! declared 1948 in The Communist Manifesto by Karl Marx and Friedrich Engels is obsolete since a long time because the workers have either been told that they are middle class now and this slogan doesn’t apply to them or they have been laid off and set in front of a TV to be intensely informed 24/7 that Communism, Russia, and Putin is to blame for their misery. But while the working class has lost the desire to unite against oppression and exploitation, another social class has taken the cue and is following now the call: Oligarchs of all Countries, Unite! United they must be in order to fight hand in hand against regulations and other government interferences, taxation, free speech and investigative journalism, the remnants of unions, and any popular movements who pursue equality and social justice. There may have been a change of government, but the oligarchs are still running the show in the Ukraine. Many of these individuals have high personal ambitions. Poroshenko has fulfilled his but others are waiting in the wings. Ihor Kolomoysky, who has dual Ukrainian and Israeli citizenship, lived in Switzerland but returned to Ukraine to accept the appointment as Governor of Dnipropetrovsk in March. Kolomoysky is known for his aggressive take-over of businesses using armed guards when necessary. He has reportedly spend more than 10 million US$ to create the 2,000 member battle-ready Dnipro Battalion based in Odessa. He is also bankrolling the Azov and the Donbass battalion. This private army could well stage a coup and bring him to power. 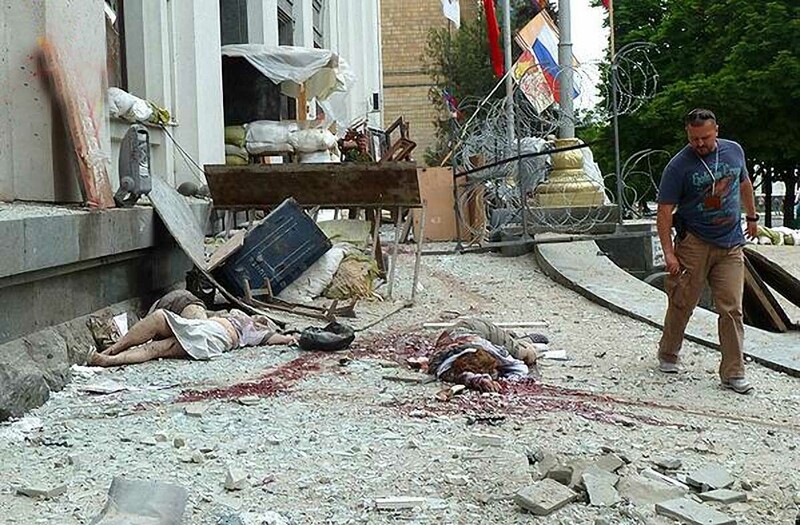 Ihor Kolomoysky is alleged to have organized the massacres in Odessa and Mariupol. Russian authorities launched a criminal case against him, issued an arrest warrant, and confiscated some of his property in Russia. Dmitry Firtas was supportive of the old administration and didn’t switch sides fast enough. He is now pursued by the US and prevented from leaving Austria because of a pending extradition request. The idea of an independent socialist Novorussia is not only frightening to Ukrainian oligarchs, it is frightening to the Russian oligarchs as well, and therefore the first generation of Novorussian leaders was replaced with Moscow’s puppets. The socialist dreamers of Novorussia and the dreamers of the original Maidan movement are clearly at the same side of the divide against the combined forces of the oligarchs of Ukraine and Russia and it is tragic that due to media brainwashing and hate propaganda they now fight against each other. A few Russian businessmen who are believed to be personally close to President Vladimir Putin have been sanctioned by the USA and EU. Vladimir Yakunin, head of state-owned Russian Railways, is on the sanctions list, Yuri Kovalchuk, the largest shareholder of Bank Rossiya, is on the list. But the Russian oligarchs who control most of Russia’s strategic energy, mineral, and metal assets are not sanctioned. Not even those oligarchs known to be supportive of Putin, like Oleg Deripaska, control shareholder of the aluminium monopoly Rusal and Roman Abramovich, winner of the “aluminum wars” and control shareholder of the Evraz steel and coal group. Even Andrey Akimov, a banker and close ally of Putin, is not on the sanctions list. Russian oligarchs who are not sanctioned include two well-known names with political ambitions to replace Putin: Mikhail Prokhorov and Anatoly Chubais. They both control US assets worth several hundred millions of dollars. Other oligarchs who the West hopes will eventually turn against Putin are Vyacheslav Surkov, Igor Shuvalov, and Mikhail Abyzov. Abyzov is believed to have helped finance Dmitry Medvedev’s campaign in 2012 to keep the presidency. One important name on the EU sanctions list is Konstantin Malofeev. The Swiss and Norwegians also have sanctioned him. Malofeev’s importance is that he was financing separatist units in Donetsk and Lugansk. This is so widely reported and believed among the Western allies, that one wonders why Malofeev is not on the US sanctions list. Could it be that Malofeev has garnered sympathies for his religiosity and conservative social views? Or is his disdain for democracy quietly shared by Washington’s political elite? All’s fair in love and war, as the saying goes, and consequently all must be fair in hate and war too. 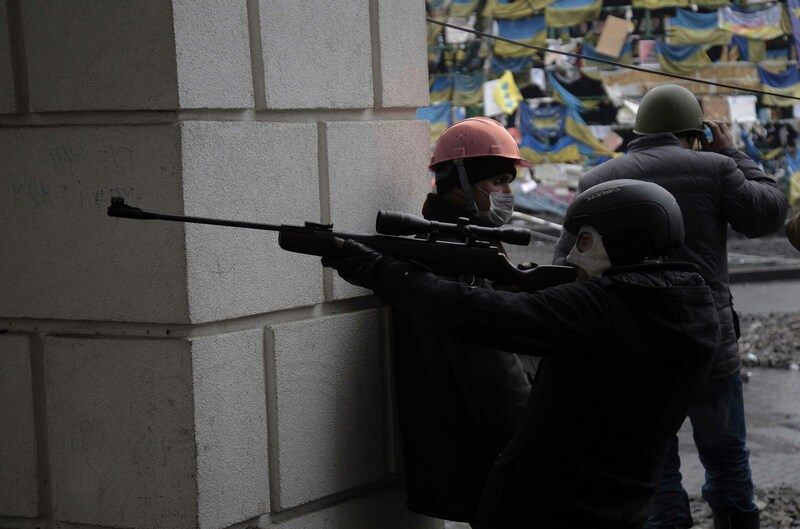 The sniper killings of Maidan in February are the exemplification of this rule, as is the massacre in the burning Odessa Trade Union building, and the downing of Malaysian passenger plane MH17. When more than 100 protesters and policemen were gunned down at Maidan on February 20, it was deemed a crime against humanity and it led to the toppling of President Yanukovych. In April, prosecutors arrested three suspects, members of an elite unit within the “Berkut” riot police. Senior among them was Dmytro Sadovnyk, a decorated commander. On Sept. 19, the case took a turn when a judge released Sadovnyk into house arrest — and, two weeks later, the man went missing. It appears, that Sadovnyk was being framed and saw flight as his best option. In court he called the case against him “a political lynching.” He and his family constantly received death threats. Among the evidence presented against Sadovnyk was a photograph. Prosecutors said it showed him near Kiev’s Independence Square on February 20, wearing a mask and holding a rifle with two hands, his fingers clearly visible. The problem: Sadovnyk doesn’t have two hands. His right hand was blown off by a grenade in a training accident. When prosecutors introduced the image at a hearing in April he removed a glove and displayed his stump to the courtroom. The two prosecutors and a government minister who lead the Maidan shooting probes all played roles in the uprising. To date, no one has been apprehended in the shooting of policemen. According to Ukraine’s Ministry of Interior Affairs, 189 police officers suffered gunshot wounds and 17 died between February 18 and 20. Yet there is ample evidence which points in a different direction, though no one in Kiev is investigating it. Russian television showed footage of masked men with long bags most likely to contain rifles in company of Maidan commander (and later Chairman of the National Security and Defense Council) Andrey Parubi at the hotel Ukraina. This hotel near Maidan was controlled by Parubi personally. German ZDF reporter Britta Hilpert remembered that unknown men shot from windows in the hotel Ukraine and the ZDF showed corresponding images. TV reporter Stefan Stuchlik discovered bullet holes at Maidan from projectiles which most likely were fired from the Hotel Ukraine. According to veteran US intelligence sources, the snipers came from the right-wing para-military organization UNA-UNSO (Ukrainian National Assembly – Ukrainian People’s Self-Defense), suspected to be part of NATO’s GLADIO troops. 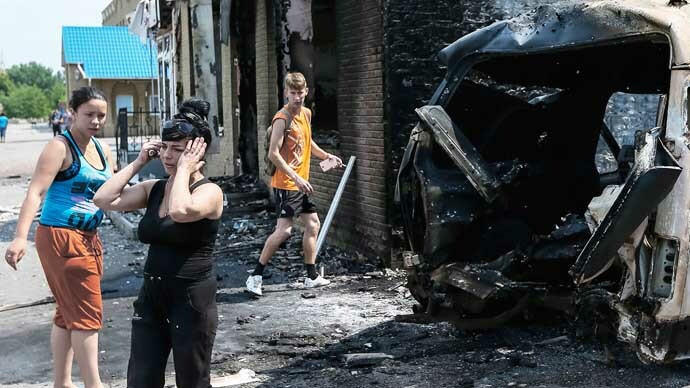 In Odessa on May 2, a tent camp at Kulikovo Field, created by groups of the the Anti-Maidan movement, was attacked by Pravy Sektor gangs and when the activists sought refuge in the nearby Trade Union house the building was set on fire. At least 48 people were either burned alive or killed by the Nazi gangs. The Nazi crowd outside the burning Trade Unions building cheered when a pregnant woman in one of the upper floors screamed as she was raped and subsequently strangled to death, and they cheered when people jumped from upper floors to the hard ground below, to be immediately batted to death by Nazis waiting below with clubs. Odessa’s regional governor Wladimir Nemirowski is said to have organized the transfer of 800 Pravy Sektor members from Maidan to Odessa and oligarch Ihor Kolomoysky, governor of Dnepropetrovsk, allegedly payed 5,000 US$ per corpse, but for the Nazis who carried out the dirty-work, this was done as much for the fun of it as it was for the pay. After an international outcry a commission was installed but the commission disbanded without finding any perpetrators. The report just stated: 6 people died of gunshot wounds, 12 people of toxic gases, etc. They didn’t even pretend to investigate who did it and who organized the crime. Odessa Regional Council Deputy Alexei Albu, who survived the massacre but was forced to flee with his family to Crimea, has opened the investigative website http://www.2may.org/ and collects information which can be eventually presented in a trial. He is sure now that there were even more than 48 victims, because the mother of one of the killed activists told him, that when she went to the morgue to identify her child, the police showed her more than 60 bodies. 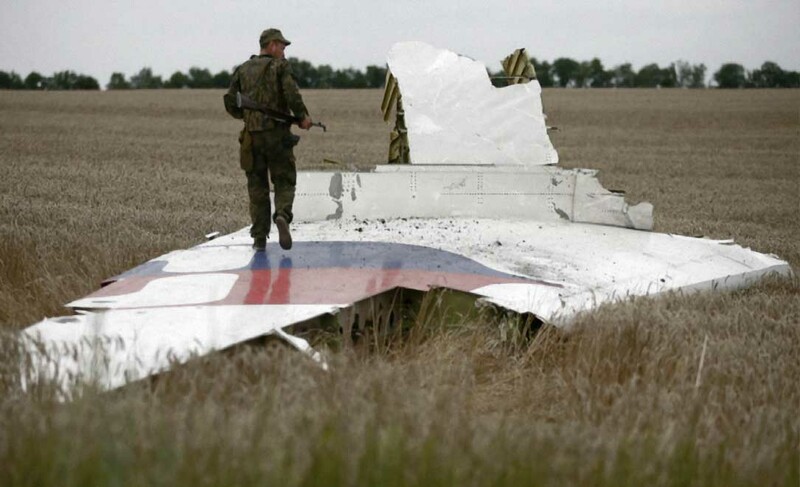 On July 17, when Malaysia Airlines flight MH17 was shot down over eastern Ukraine, Western officials and media rushed to blame pro-Russian separatists for killing the 298 people onboard — and Russia for supposedly supplying a BUK anti-aircraft missile system to them. The USA has pressured all involved authorities to delay and obscure the investigation into the downing of flight MH17, and the Dutch investigators have obediently dragged their feet. The only explanation for that is to prevent, for as long as possible while the new government of Ukraine consolidates its position, the highly embarrassing finding that Ukraine in fact shot it down. The USA has said over and over it has evidence about the crash, yet it has never produced a scrap of it. On July 23, two days after the Russian Ministry of Defense presented a radar track of a Ukrainian SU-25 fighter climbing to within three kilometers of MH17, the BBC’s Russian service aired a report by correspondent Olga Ivshina with local eye witnesses describing two loud explosions in the sky and Ukrainian fighter jets near the MH17 crash scene. A few hours after the video was posted on the BBC’s Russian website it was removed. When Russia’s Channel One showed satellite photo evidence that MH17 was downed by a fighter jet, the picture was instantly exposed as fake. 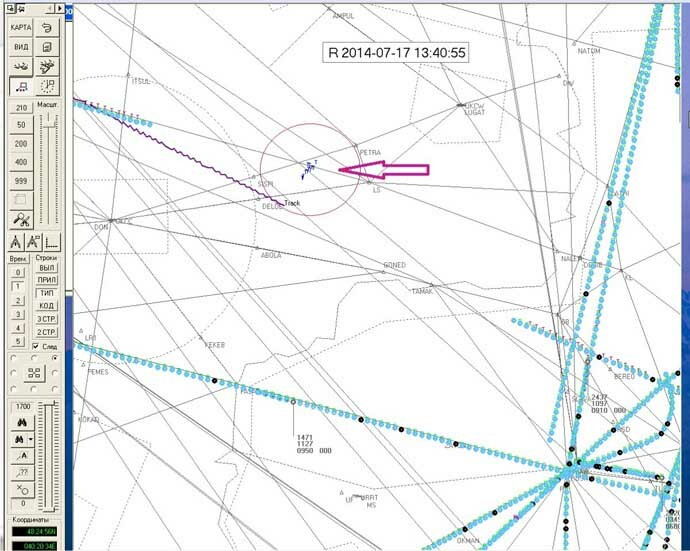 Analysts suspect that the fake was given to Channel One in order to discredit an earlier Rostov radar track (data from an air traffic control center in Rostov) which also showed a military plane near MH17. A Spanish air traffic controller named Carlos, who was on Twitter for months previous to the crash and who confirmed the involvement of a fighter jet, disappeared, his Twitter account was erased. The audio records of communications between air traffic control and the plane were confiscated and have never resurfaced. Multiple photography of the debris show that bullets and not missile shrapnels were hitting the plane. Independent experts like pilot Peter Haisenko and OSCE observer Michael Bociurkiw explained this in great detail. Preliminary findings of the Dutch investigators speak of “high energy objects” — if they could have proven the impact of a surface to air missile they would have told and proudly presented the evidence to the world. Sadly, the black box flight recorder is in the hands of the Dutch investigators which in connivance with the USA will not divulge the truth, and according to a four-party agreement signed on August 8 between Ukraine, the Netherlands, Belgium, and Australia, information about the investigation into the disaster will not be disclosed. The conflict in the Ukraine is also about energy politics and old fashioned economic schemes. The EU wants to expand and to grow the economies, Russia want economic growth too. None of the political leaders has understood until now that unlimited growth on a limited planet is not possible. Russia provides Western Europe with natural gas and intends to become a major provider of fossil fuels to China. Russia also plans to start fracking (hydraulic fracturing) and offshore oil exploration in the Arctic. Production has started at almost all of the 43 large oil and natural gas fields that have been discovered in the Russian Arctic, both on land and offshore, and Gazprom Neft just completed its third delivery from their Prirazlomnoye project, the world’s first stationary Arctic platform. The dangers of nuclear energy are not a matter of public discussion either. Putin signed a nuclear energy deal with Argentina about two additional units in Argentina’s nuclear Atucha 3 power plant. Russian experts will also visit the Vaca Muerta shale fields in the south of Argentina, thought to be one of the biggest shale reserves in the Western Hemisphere. On November 11 a new partnership agreement with Iran, guaranteed by the IAEA, was signed in Moscow. Russia will build eight pressurized water reactors “turn-key ready,” four of them at the Bushehr Nuclear Power Plant. Nuclear fuel for the reactors will be provided by Russia during the whole life cycle of the reactors and spent fuel will be returned for processing and storage. Isn’t Chernobyl and Fukushima enough? While radioactive water from Fukushima contaminates the northern Pacific Ocean, Soviet era nuclear waste poses a threat to the Arctic Ocean. There are 17,000 containers of nuclear waste, 19 rusting Soviet nuclear ships and 14 nuclear reactors cut out of atomic vessels at the bottom of the Kara Sea. Yet, not all is lost, and there are a few bright spots in the dark picture. In September 2013 President Putin issued a decree setting the national target for reducing emissions by 2020 to 25 percent less than 1990 levels. After decades of neglect and Soviet era large-scale collective farms (kolkhozy), which resembled the worst aspects of industrial agriculture, small organic farmers and gardeners in Russia were encouraged in the last decades. The Private Garden Plot Act, which was signed into law in 2003, entitles every citizen to a private plot of land (dacha) free of charge, ranging in size from one to three hectares. The government doesn’t tax the on the dachas produced food. The result of this effort has been phenomenal, as the majority of Russian families grow practically all the food they need. Privately owned organic farms or backyard gardens provide about 40 percent of the countries’ food, including 92 percent of potatoes, 77 percent of vegetables, and 87 percent of fruits. In August, Russia banned all beef, pork, fish, fruit, vegetables, and dairy products from the European Union, the USA, Canada, Australia, and Norway for one year in retaliation to Western economic sanctions. This ban could be a chance to help local farmers and further develop sustainable agriculture. Co-ops like LavkaLavka, who sell products from organic farms in small shops, have seen their fortunes sour and farmers markets are thriving. 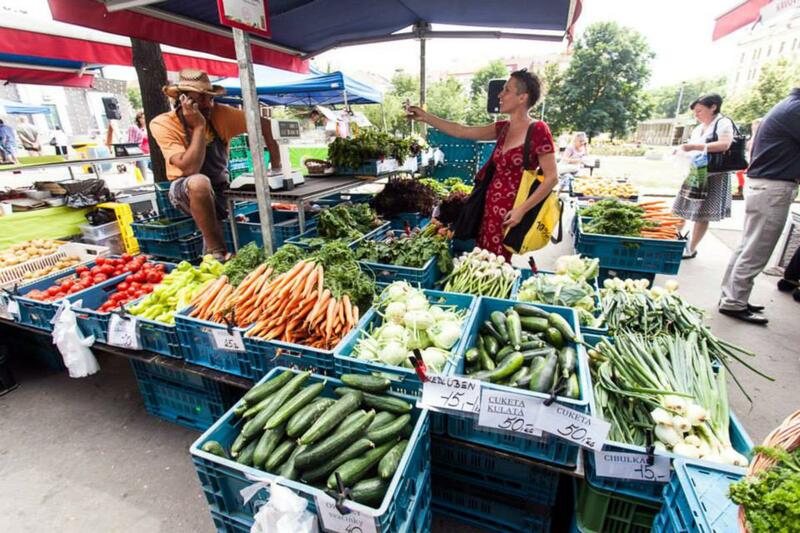 Small farmers and gardeners can only hope that sanctions stick around long enough for urban Russians to start exploring their own food and not just substitute imports from the USA and the EU by products from Asia and Latin America.